Tagged Agricultural residues, biochemical, bioethanol, biofuels, Biomass, Cellulosic Ethanol, crop wastes, Enzymatic Hydrolysis, Ethanol, Lignocellulose, Lignocellulosic biomass, Pretreatment, Pretreatment of Biomass, production of bioethanol, Production of Cellulosic Ethanol, Saccharification, Second-generation biofuels, thermochemical. Bookmark the permalink. 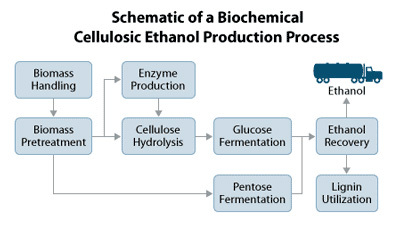 We are currently researching second generation biofuels (Stellenbosch Unversity) and one of the major obstacles that still needs to be overcome is the inability of current industrial yeast strains to ferment both xylose and glucose simultaneously efficiently. Much work has being going in to modifying yeast strains such as saccharomyces cerevisiae to be able to do this as well as hardening the strains to be resistant to byproducts that are formed during pretreatment steps. The progress that we are seeing is positive and we are confident about the future of second generation bioethanol produced from waste lignocellulosic materials such as sugarcane bagasse and the like. Indeed you are in part correct but not any more. Try Applied Biofuels Malta Limited through the contacts Hurrellconsult@aol.com, or Josephmicallef@yahoo.co.uk) then you will get more information. These Companies are spear-heading the procedures in Malta Israel Italy the UK and Holland (through Dr Roelof Niezen at Niezengr@yahoo.com) and will assist you. 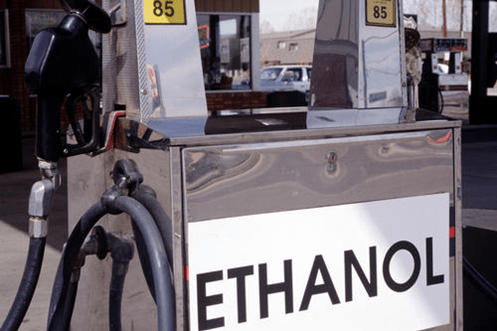 Making Ethanol from Biomass is the current way forward but the issue is the Carbon Dioxide Residues. These company are using this to make Methanol as well and thus improve the performace. A typical Biomass to ethanol Facility working on converting 300,000 tonnes of biomass (assumed dry matter) will generate over 85 Million litres of Ethanol per year more as the process gets up to steam. And if you consider that to build this in the EU will be less than €90 Million then with an Internal Rate of Return approaching 55% after year 5 it has to be a good investment. Maybe at Stellenbosch University you might be interested.